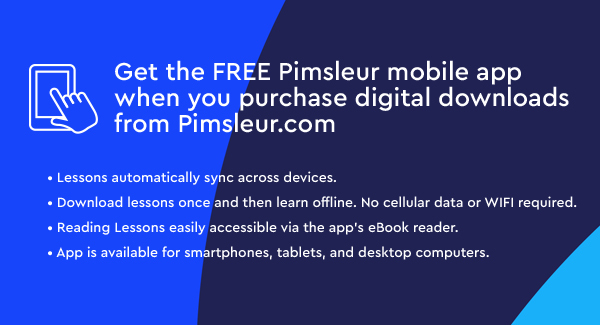 Pimsleur includes 150, 30-minute audio lessons, reading instruction, and culture notes as streaming or audio download, plus 5 integrated Reading Booklets and 4 Culture Notes Booklets. Reading lessons are included each level. 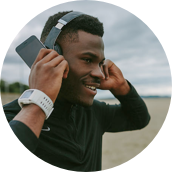 In the first four levels, you’ll learn to read Hanyu Pinyin (pinyin for short) the official phonetic system for transcribing pronunciations of Chinese characters into a Latin alphabet. In Level 5, the reading lessons are designed to deepen your memory and understanding of learned vocabulary, as well as to begin the work of connecting the words and phrases that you have learned to hànzì, the characters used in the Chinese writing system. There are recorded Culture Notes after the Reading Lessons for Levels 1-4. 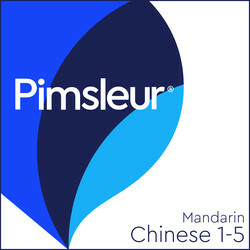 These notes are designed to provide you with some insight into the Chinese language and culture. Culture Notes booklets are also included.